Leslie Compton’s newly released book, "Dearest Minnie, a Sailor’s Story," is a wonderfully accurate portrayal of Teddy Roosevelt’s 43,000-mile, 14-month good will tour seldom told in depth in history books. 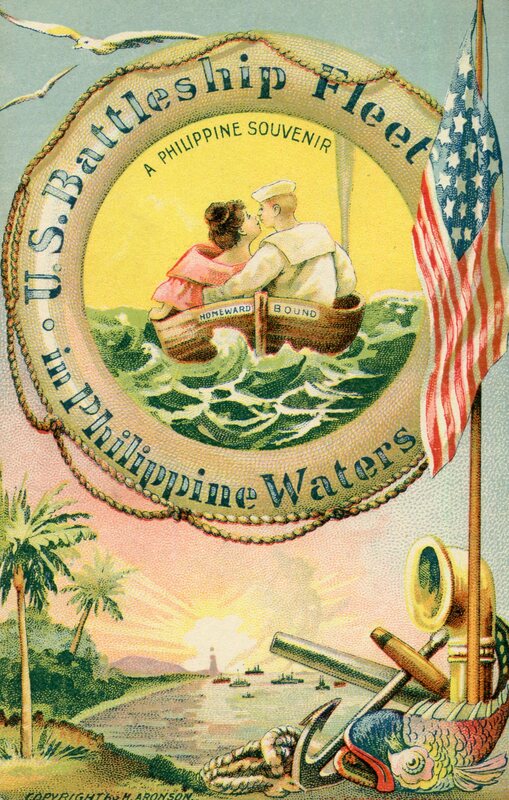 Extrapolated from and including over 200 actual (collectible) postcards sent home to “Dearest Minnie,” this book is an engaging narrative as seen through the eyes of an enlisted sailor aboard the USS Virginia. 12 December 1907. One hundred ten years ago, Teddy Roosevelt’s Great White Fleet sailed into the history books. Comprised of sixteen battleships and manned by 14,000 sailors and marines under the command of Rear Admiral Robley “Fighting Bob” Evans, the American fleet set out from Hampton Roads, Virginia on 12 December 1907, to visit 20 ports on six continents before returning to Hampton Roads, Virginia on 22 February 1909. "Dearest Minnie, a Sailor’s Story" is an engaging written and pictorial narrative about the battleships, the political climate, the animals aboard ship, the various cultures, the entertainment, the unexpected mishaps as well as the budding romance between a Virginia sailor and his “Dearest Minnie.” The full-color collectible postcard images follow the fleet as it sails to each port. Included in the book is a detailed description of each card and photo. 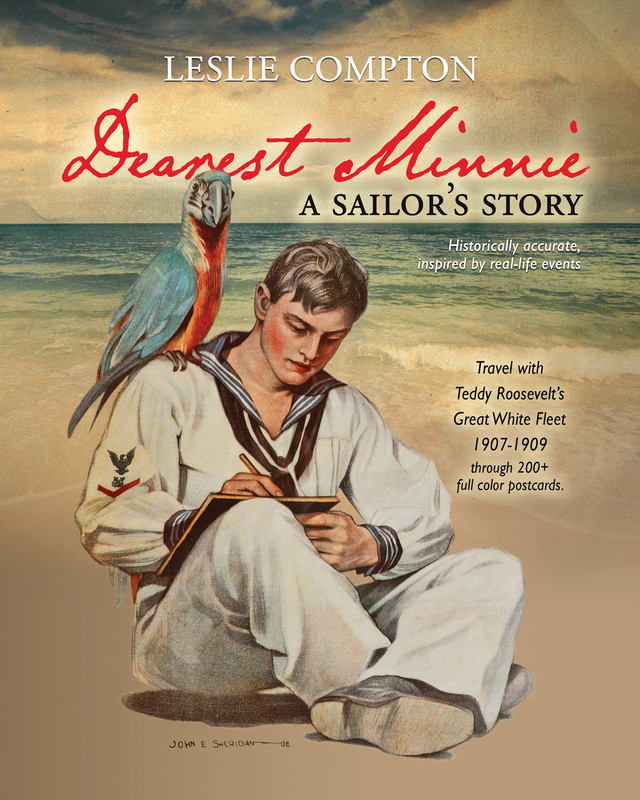 Considered as one of the greatest peacetime achievements in US Navy history, Dearest Minnie, a sailor’s story offers something for everyone: postcard collectors, history enthusiasts, and romantics. You only need a love for history and a desire to learn something new. Retired professional musician, music teacher, elementary teacher and childbirth educator and has taught several courses on memoir writing. 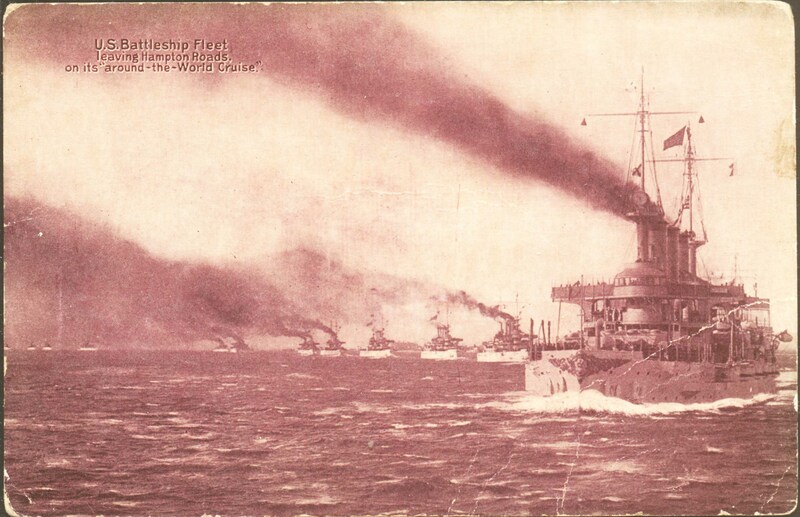 While researching the Great White Fleet, Compton wrote an article for the Post Card Collector. She is an instructor for a six-week course through OLLI about the Great White Fleet. Compton is currently working on her fourth book, living in Talent, Oregon. 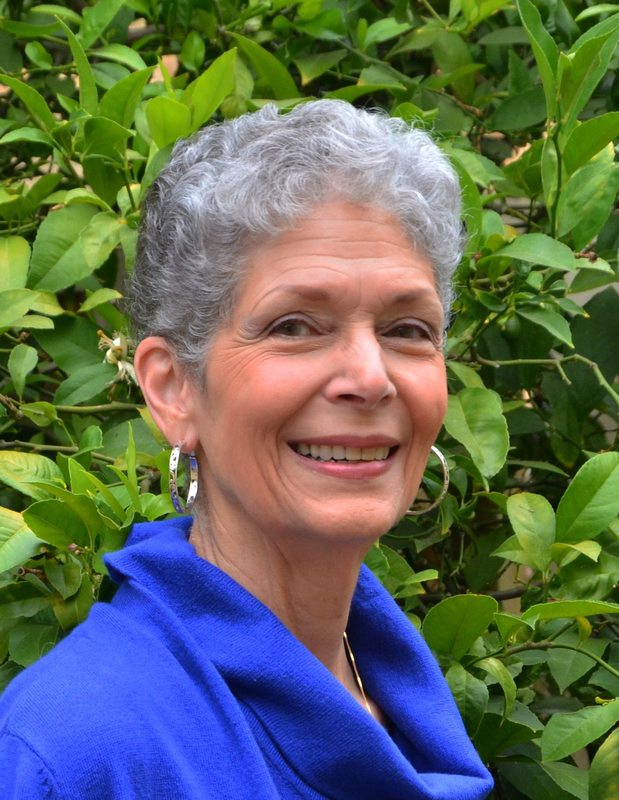 Leslie Compton, Author of "Dearest Minnie, a Sailor's Story"Leslie Compton, Author ~ Retired professional musician, music teacher, elementary teacher and childbirth educator and has taught several courses on memoir writing. She is an instructor for a six-week course through OLLI about the Great White Fleet. "Dearest Minnie, a Sailor's Story" by Leslie ComptonTravel with Teddy Roosevelt’s Great White Fleet 1907-1908 through 200+ Full Color Postcards, Letters "US Battlefleet Leaving Hampton Roads" 1907, postcard published by LE Lines Music Company, Springfield, MO"US Battlefleet Leaving Hampton Roads" 1907, postcard published by LE Lines Music Company, Springfield, MO US Battle Fleet, Manila, PhilippinesUS Battle Fleet in Philippine Waters, A Philippine Souvenir"